Fulfilling a request, and a character I did want to do an update of anyway, here's my favorite sea-loving superhero (and possibly future member of the cinematic Justice League, portrayed by Jason Momoa if the rumors turn out to be true) - Aquaman! For good measure, here's a new classic version too! UPDATE! Thanks again also go out to Brian & Pathtags.com. 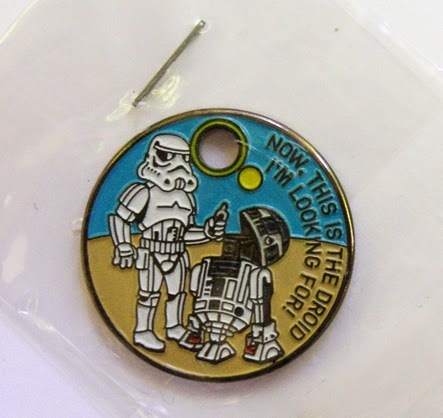 Brian sent me this awesome Star Wars Punx themed pathtag. Thanks Brian, looks great!